At the same time, his slogans are on the edge of indecency. 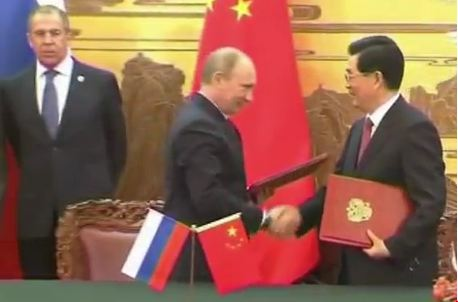 They are a mix of dried Soviet, Russophile and Eurasian catchphrases coupled with cynical social populism. The main thrust behind all of these arguments is the fact that Medvedchuk supports integration with Russia, Belarus and Kazakhstan in the Common Economic Space, Russian as a state language in Ukraine and increased government spending, particularly on science and education. 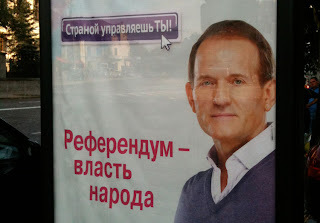 Medvedchuk’s advertising campaign emphasises in every possible way a commitment to democratic values and building a civil society, even though when coming from an ideologue of media censorship, such claims cause strong cognitive dissonance. Tellingly, most of his advertisements, promotion materials and social network messages are in Russian, even though he used to speak only Ukrainian in public. This is anomalous for our country, because its politics is, in general, Ukrainian-speaking. This tradition was upheld for a while even by the Party of Regions. One can argue that Medvedchuk has numerous shortcomings, but his main one is his undisguised cynicism towards others. Many of those who have worked with him say he does not see people in front of him — he is convinced that technology and money can solve everything. It may be that his personal background plays an important role in this. He is the son of exiles who were repressed by the Soviets for cooperating with the Nazis and became an informer for Soviet law enforcement agencies at an early age, some sources say. If so, it is not surprising that he became the Kremlin’s main project in Ukraine – the Russian KGB leadership certainly knows how to work with souls deformed by the repressive Soviet system. 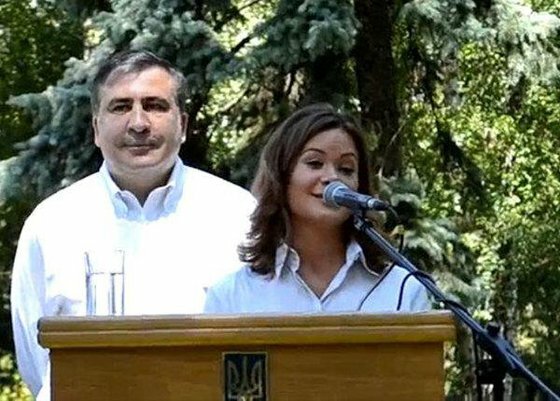 When examining Medvedchuk’s activities throughout his life, one is struck by the fact that they seem to have never been beneficial to Ukraine. Under the Soviet state, Medvedchuk was instrumental in imprisoning Vasyl Stus, a symbol of resistance against the totalitarian government. 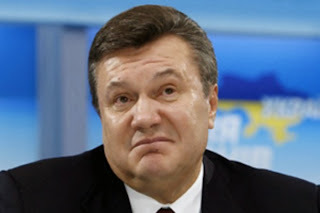 In the 1990s and early 2000s, he was reported to be involved in corporate raids and promoting Russian influence in the Presidential Administration late into Kuchma’s presidency. 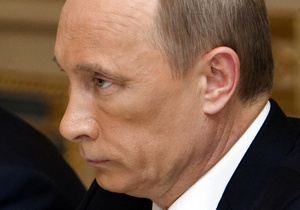 Medvedchuk is also believed to have co-authored planting a time bomb under the achievements of the Orange Revolution in the form of “constitutional reform” (adopted in 2004). He was also involved in crafting election technology that same year aimed at sowing the seeds of regional hatred and disturbing the civic peace which had been carefully nourished for years. Medvedchuk claims to have no intention of participating in the parliamentary election and said the purpose of his activity and civic initiative was to pressure the government to solve issues he deems important. However, he would have no difficulty in changing this position at the eleventh hour due to “compelling circumstances”. It would be equally easy for him to purchase one of a hundred latent political forces, rebrand it “Ukrainian Choice” and ride it into parliament. 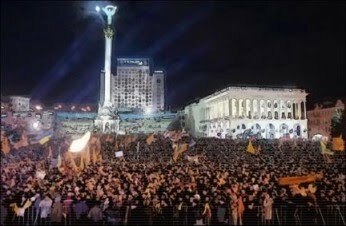 However, Medvedchuk has shown very poor party management in recent years, despite highly favourable circumstances including administrative resources and a media empire. For example, the Medvedchuk-led SDPU(o) polled 4.01 per cent of votes in 1998 with most votes coming from Transcarpathia. 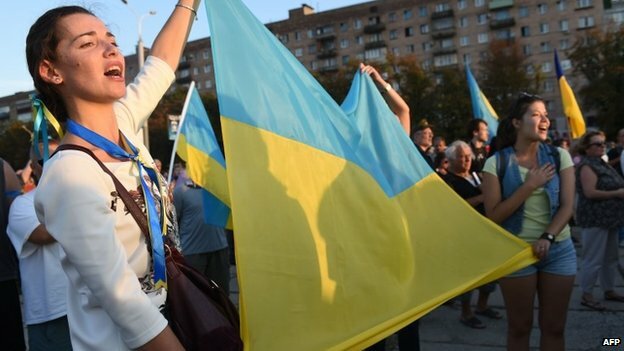 This western region of the country gave the party 17.78 per cent of its total votes, almost twice as many as did Kyiv. To compare, Natalia Vitrenko’s PSPU had nearly the same support rate (4.04 per cent) in 1998 without spending a tenth of SPDU(o)’s budget on campaigning. In 2002, SDPU(o) had a colossal (by Ukraine’s standards) financial and administrative resource but gained a mere 6.2 per cent. Medvedchuk’s real managerial performance can be gauged by the example of his Ne Tak! (Not So!) 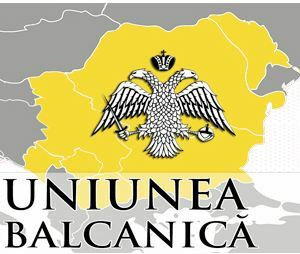 bloc in the 2006 parliamentary elections. Without administrative resources and lacking finances, Medvedchuk’s bloc earned a measly 1.01 per cent. The dim parliamentary prospects of his new force may be offset by personal, largely psychological motives. 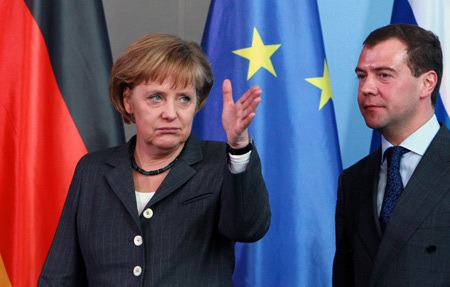 Medvedchuk left Ukrainian politics in a relatively inglorious fashion. In contrast to his fellow party members like Nestor Shufrych and Ihor Shurma he never found a place for himself among the blue-and-white elite. To compensate for his moral and political losses and boost his self-esteem, he does not even have to win. The main thing is taking part. Second, representatives of Medvedchuk’s force stand a chance of being elected to the national parliament in pro-Russian southeastern districts disappointed in the current government. If they succeed, Medvedchuk, a master of backstage deals, may start forging an interfaction group by recruiting MPs who are loyal to Moscow and elected under either the majority or the proportional system. This group could then begin pressuring the government to force it to deliver the country into Russia’s eager hands. Long rejected and demonised by Ukrainian society, Medvedchuk could re-emerge in Ukrainian politics as Putin’s ideal emissary. 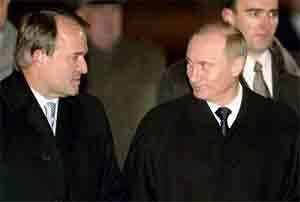 (They have close links, and Putin is godfather of Medvedchuk’s daughter.) 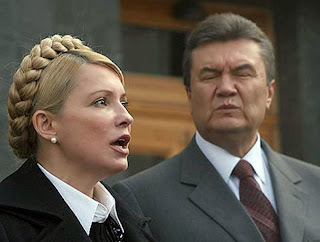 Unlike Yanukovych, he is not capable of any independent manoeuvres, because he will never be popular. But with his rich experience of political manipulation he has no equal as a transmitter of the Kremlin’s wide arsenal of political tools with which to pressure the Ukrainian “creole” elites.